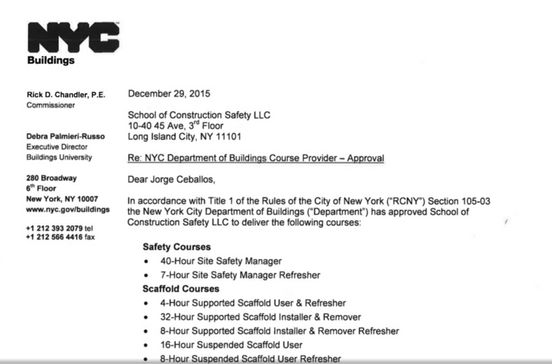 The 40 hour Site Safety Course is a much more in-depth study of Local Law 33 and how it relates to NYC Construction. This class is required for those who apply to become NYC Site Safety Managers or NYC Site Safety CoordinatAors. If you can qualify as a Site Safety Manager or Site Safety Coordinator you can find stable employment, or save your company thousands of dollars in fees. Approved by the NYC Department of Building.